Contributor to column Homo sapiens, in Curtea de la Arges, a monthly periodical on culture and science, edited by the mathematician Gheorghe Paun. Since August 2016. Entitled Civilizatia Analfabetismului, the book was published by Editura Spandugino, specializing in the works of leading voices in science and culture in Romania. International Journal of General Systems (Professor George Klir, Editor), since September, 2008. Risk and Decision Analysis, since 2007. Member of editorial Board of the new journal, Risk and Decision Analysis, since 2007. Executive Editor of the book series Digital Horizons, (cognitive science, visualization, artificial intelligence, information science, semiotics, ubiquitous computing) Synchron Publishers, Germany. International Advisory Board, University of the People, an online institute of higher education, since April 2009.
International Child Art Foundation, “the leading national art and creativity organization for American children,” on the basis of work in anticipation and creativity, since September 2009. Nonkilling Science and Technology Research Committee, since October 2009. 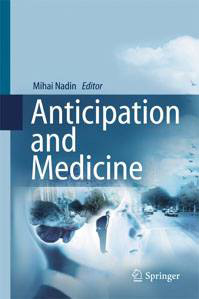 Anticipation aspects of motivation, preferences, and decisions in regard to economics and political science. Seminar: Motivation, Preferences, and Decisions – Experiments in Economics and Political Science, Brain. Hanse Institute for Advanced Study, Delmenhorst, Germany Nov. 23, 2011. Performance Scope, Poster Session at International Conference on Body Sensor Networks, Dallas, Texas, May 23-25, 2011 (with students from Computational Design). Technical Program Chair: Inventing the Future Conference, University of Texas at Dallas, April 28, 2011. Presentations of the graduate seminar in Computational Design (Serious gaming in international relations; Observations and application of anticipatory behaviors; Roaming holiday: touring without traveling; Omnibus: a conveyance for all, et alia. Distinguished Visiting Researcher, Collaborative Research Centre (SFB 637) Project: “Autonomous Cooperating Logistic Processes – a Paradigm Shift and its Limitations.” Technische Zentrum fü r Informatik – TZI (Technical Center for Information Science), Bremen, Germany, December 2009 -May 2010. Collaboration with C.C. Young, XaviX, Inc., and antÉ – Institute for Research in Anticipatory Systems to test effects of XaviX MindGym on maintaining and improving anticipatory characteristics in the aging; with Melinda Andrews, Ph.D. candidate in Behavioral and Brain Science, UTD, 2006-2009. Development and implementation of the AnticipationScope™. The AnticipationScope records both motion capture and physiological data via sensors attached to a volunteer’s body. The result is an individual’s Anticipatory Profile™. The initial data serve as a benchmark for changes in the anticipatory profile. Changes can reflect either improved anticipatory capabilities (important for high-performance activities such as sports and defense) or deterioration. To date, over 100 subjects, ranging in age from 12-80+, have been tested. Elaboration of a development program entitled Dallas – Knowledge City for the Dallas-Forth Worth Metroplex. The goal was to turn the Metroplex, especially its colleges and universities, into an interactive, linked, knowledge-sharing entity (2004). Parallel to this, Nadin elaborated ENGAGE – an Associates Program: University of Texas campus-wide consortium for research and consulting for business, industry, education, government. Panel moderator: Is today’s educational system still appropriate in the Third Millennium? (Passt unsere Ausbildung an den Hochschulen noch fü r das dritte Jahrtausend? ), 11 May 2001. Concept for a design program at Stanford University (with C. Byrnes, H. Dubberly, N. Felde, J. Faris, P. Pangaro) April-June 1999. Organizer of the Section Semiotics: the conceptual engine of the digital revolution at the VII World Congress of the International Association of Semiotic Studies, Dresden, October 1999. Member of Perception/Art Conversation , Getty Research Center for the History of Art and the Humanities. A discussion among experts in cognition, semiotics, the arts, engineering, and communication in preparation for the Getty Program 2001-2002: Perception, Experience, Judgment. Los Angeles CA, 5-6 May 1999. Introduction and moderation of panel discussion Form Interacts with Function: Concepts for customer-oriented multimedia design ; and Panel member, Learning with Multimedia Technology: What kind of education do we need? At Envisioning Knowledge:the Knowledge Society and the New Media , 3rd International Congress of the Academy for the Third Millennium, Burda Media, Munich, 3-4 February 1999. Organizer, International Colloquium: From Bauhaus to Thinkhouse , and Digital Design 2000+ , premiere Webcast ,1-3 December 1998. Collaboration with WDR (the largest state television network in Germany) in the field of virtual sets, since February 1998. Participant in round-table discussion on methods and means for science and technology transfer from institutions of higher learning to the industry, NRW Ministery of Science and Education, December 1997.